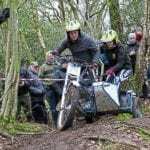 Riders in the stormDespite rain and the threat of snow, the NMM’s training day went ahead as planned. And boy, has he stuck to his words – museums don’t get much more ‘dynamic’ than the NMM. 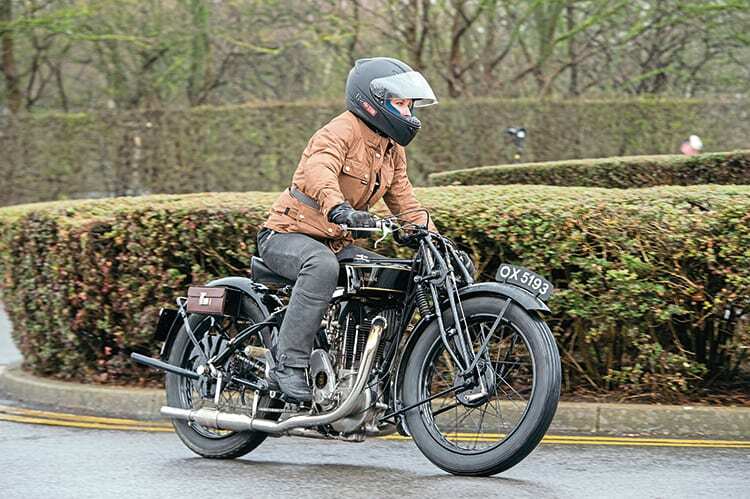 This is, after all an institution which allows its members to ride its collection – both on the open road and in its own grounds. Indeed, you can’t get much closer to dynamism than blasting off on a 650cc Ariel Cyclone. But then, this is the NMM: unique, quirky, unusual and so profoundly loyal to its founder’s passion for motorcycles that it even allows its members to test ride its collection. In a world of guarded, ‘play it safe’ Kafkaesque institutions, this is a welcome rarity. The opportunity to ride the NMM’s machines is open to any member of its ‘Friends’ scheme – a membership scheme which costs £29.95 to join. Friends then pay £10 to attend a ‘Ride a Classic Bike’ session, at which an array of machines is available to ride. But there was one major set back: I had barely ridden a motorcycle since my test in December 2015. And that was on an all-singing, all-dancing BMW with heated grips, a far cry from a hand-change Sunbeam. Needless to say, I was utterly nervous, so nervous that I was wishing the rumours of snow would come to light and the whole thing would be cancelled. 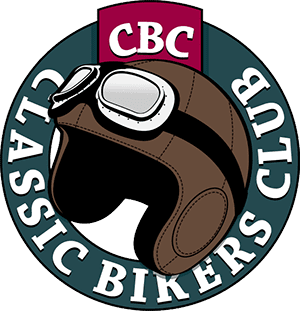 Far from being excited about spending half a day bobbing around on priceless motorcycles, all I could envisage was me dropping a Velocette and driving back to Sheffield with a restoration bill the size of a modern mortgage. Luckily, there were tasks to do before we even stepped on the NMM’s makeshift ‘track’. I managed to stretch out putting my gear on for more then 10 minutes, my signing-on form read like War and Peace (I got at least 15 minutes out of that one) and luckily, I already knew some of the ‘Friends’ through other motorcycle endeavours. These encounters help put off the inevitable ‘Velocette drop’ that big longer. Gulp. ‘Slow control’ was never my forte. Visions of ‘figure of eights’ and vagrant traffic cones came rushing back. But after chatting almost everyone to death – my time was up. I had to get on a machine. 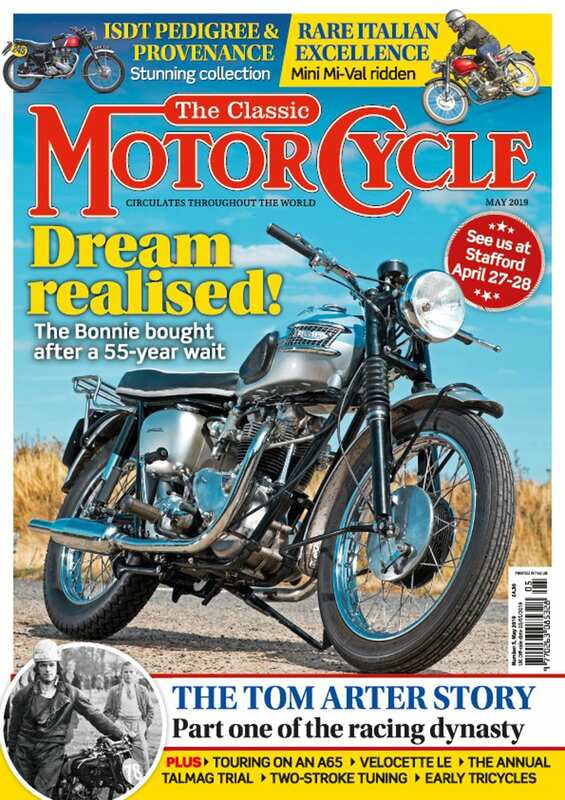 And the 1959 BSA B31 was there, waiting. That was it. If Tracey – all of 5ft 2in but one of the smoothest riders of the session – said so, then it was so. 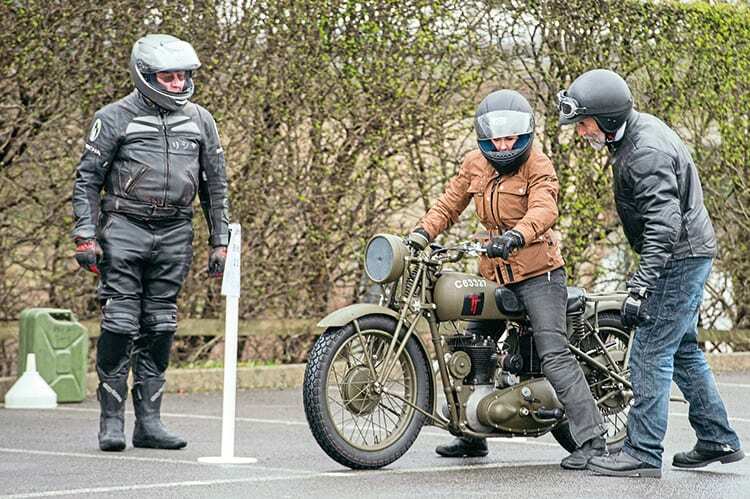 Of course, there were some initial awkward introductions between myself and the BSA B31. The clutch was very tricky – with an extremely high biting point, and of course the gears were on the right. But once I was off, it was fine. After two laps of the NMM’s carefully marked-out ‘circuit’ I was at ease. More importantly, however, I was enjoying it, I’d got into a comfortable groove with the four-speed machine. 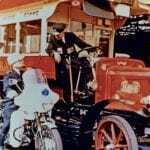 It doesn’t surprise me that this machine was referred to in its day as a ‘dependable middleweight’–indeed, this was the motorcycle of choice for the police force, the fire brigade and, even more sensible, the Home Office. 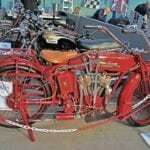 The B31 was launched in 1945, a derivative of BSA’s prewar B-series overhead valve singles, which made it comfortably capable of speeds of up to 60mph. This model represents one of the very last of its run: after 1959 BSA stopped producing B31s. But it was clear from riding the B31 that this was a machine meant for domestic plodding and cruising. The 348cc engine ran well: it was happy(ish) in first gear without feeling it was going to spit me off, a welcome feature for a classic bike novice. And its handling was solid. The trickiest part was dismounting the machine while keeping it running in neutral. Where the hell was neutral? I went up, down, up again, down again with my right foot but couldn’t find it for love nor money. Eventually, with some help from the NMM’s father and son restoration team Wes and Kyle Wall, we sorted it. 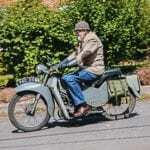 Next up was the 500cc 1939 Tiger 100, a delightful looking machine resplendent in pearly-toned ‘silver sheen’ paint. Now this was an entirely different beast altogether – certainly not one for the Home Office.